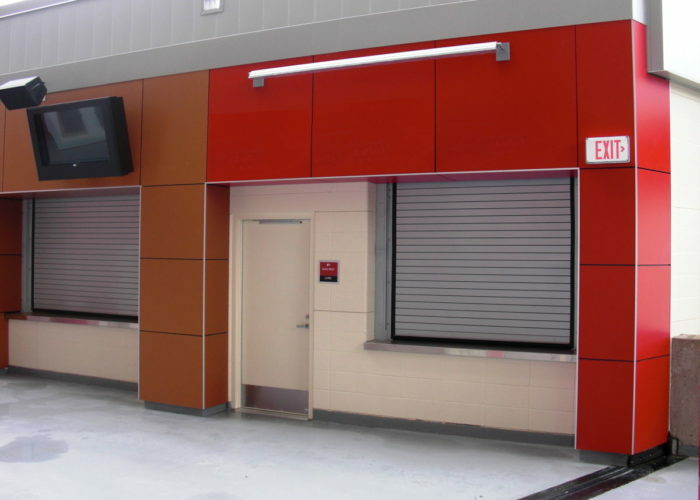 Rolling Counter Shutter | Barton Overhead Door, Inc.
Rolling Counter Shutters, also called Rolling Counter Doors, are commonly used in commercial kitchens, concession stands, public spaces, healthcare offices, stadiums, and many other locations. These small doors are very versatile and aesthetically pleasing. The compact design requires minimal headroom and allows them to fit in a wide variety of openings. 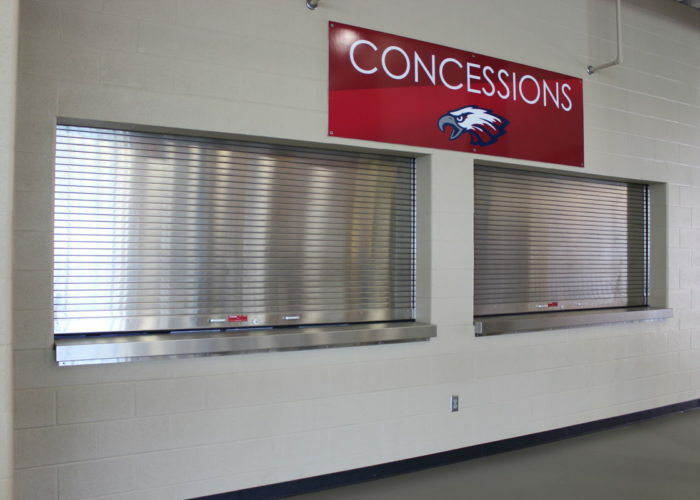 Rolling Counter Shutters can be operated by hand-crank, push-up, or motor, depending on the situation. 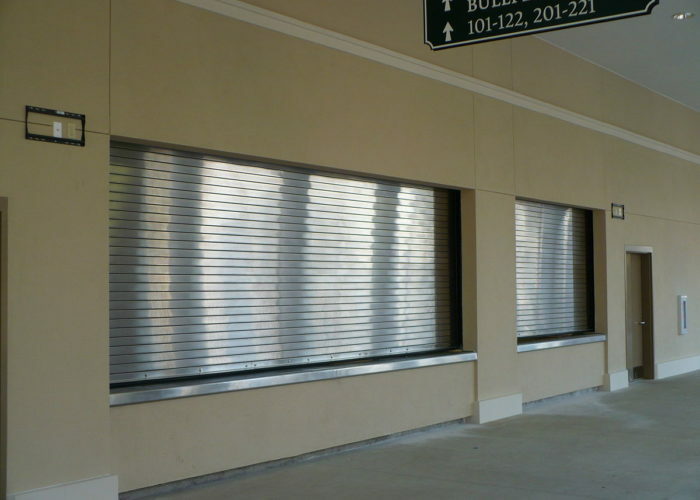 Shutters with integral frames and sills offer a custom appearance with no exposed edges. Slip-in units arrive ready to be set in existing walls for fast installation. These may be used in masonry or drywall opening from 4″ to 13″ thick and with interior rated and non-rated walls. 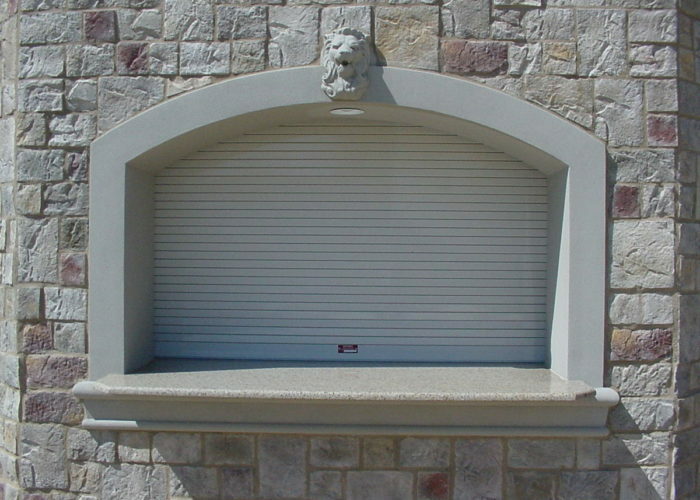 Often, counter doors are installed in areas that require fire-rated doors. Cookson Counter Fire Shutters are UL Labeled for up to 3 hours of fire protection. They also integrate with the Cookson Alarmguard Closing System, available in motor, tubular motor, chain, or crank.